The 1000ft Indoor Duplex Fiber Assembly Cable - Multimode OM1 62.5/125 micron, Plenum has high performance tight-buffered coating on each optical fiber for environmental and mechanical protection. Flame-retardant for indoor installations. 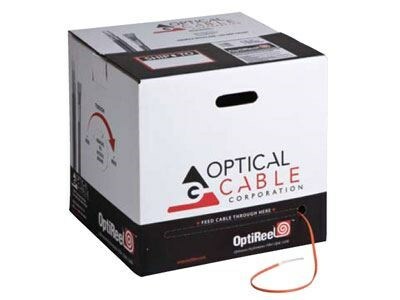 Compatible with all standard fiber optic connectors. Resilient and flexible for jumpers, patch cords, and pigtails. Suitable for general purpose indoor use, such as routing connections in patching systems. Short "patch cord" cables ideal for links between electronic equipment and main fiber optic cables.